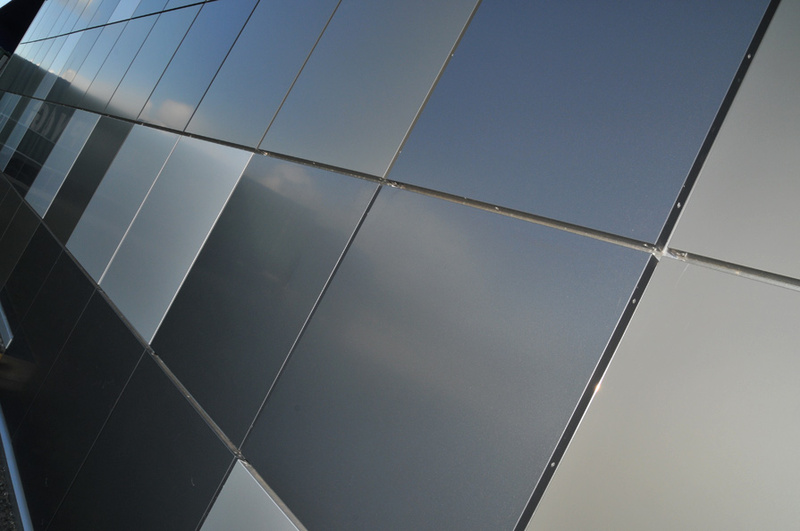 Ash and Lacy's Ashtech rainscreen cladding system RSCFH35 ACM panels in Sunrise Silver, Grey Metallic and Dark Grey Mettalic give the building a very distinctive appearance. Winner of the Ash and Lacy 2008 commercial category and best overall. Finalist in 2009 NFRC Awards for cladding.